What started off as a wellness check in the Bronx resulted in 16 rounds fired at Miguel Antonio Richards, who lost his life earlier this month. Miguel, a college exchange student from Jamaica, was 31 years old and had been living peacefully in his apartment building for several months, until his landlord called NYPD for a wellness check after not seeing him for some time. According to the New York Post, this is the first NYPD fatal shooting captured on body worn cameras. 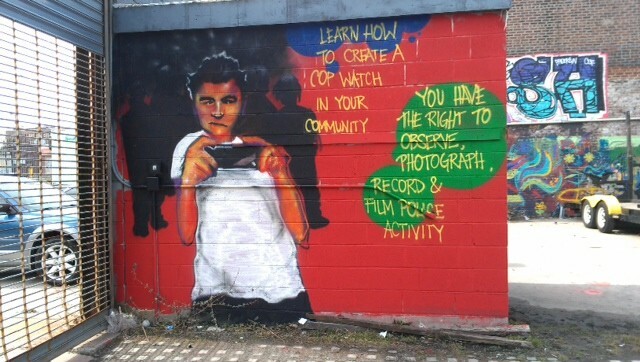 Since April of 2017, the New York Police Department (NYPD) has begun rolling out their pilot program instituting the use of body worn cameras in response to community outcries about police violence and demands for police accountability. 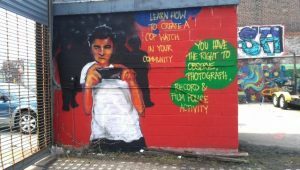 Filming the police–whether by an individual or within a community operated cop watch–gives the most targeted and surveilled communities an opportunity to exercise their agency by creating a digital record of police violence. However, the medium championed by the community to create transparency and accountability is not necessarily proving to do so, as seen in Miguel’s case. Body worn camera footage of Miguel’s murder does not entirely support what was reported by the police, and instead raises even more questions around police protocol when interacting with someone who has a mental health issue. Yet the police have seen no punishment, even with footage that contradicts their written account. In 16 minutes of body camera footage, the viewer can see the officers shout commands at Miguel but make no clear effort to de-escalate. The officers claim that they already called the Emergency Services Unit (ESU) but one then asks; why didn’t they wait for ESU before shooting, who are specifically trained to interact with civilians with mental health issues? The police reported that they attempted to use their taser gun before shooting; but upon reviewing the footage, it appears that they tasered and fired their guns at him simultaneously. Finally, there are several blind spots within the footage. Although the police stated Miguel was holding a fake gun, there is no clear sight of this in the footage. If anything, this footage proves that the police are not equipped to handle a civilian with a mental health issue. As a result, Miguel lost his life. And even after a month since his violent death was caught on body worn camera, we have yet to hear an explanation as to why the footage doesn’t support what the cops reported, making it very unlikely that they will be held accountable for Miguel’s unnecessary death. Moving forward, we must continue to raise questions about whether recorded footage will necessarily bring about justice. In this case, it hasn’t. And we must not assume that body cameras will deliver transparency or accountability for bad policing. Myaisha first began organizing as a high school student with local grassroots organizations in New York City. In 2012, she joined President Obama’s re-election campaign in Miami, Florida as their Deputy Field Organizer. Since then, she has organized fast food workers to join the Fight for $15 and joined the CLOSErikers movement with formerly incarcerated New Yorkers to push NYC Mayor Bill De Blasio to close one of America’s most notorious jails. Myaisha is a graduate of Occidental College and currently lives in Brooklyn, New York.